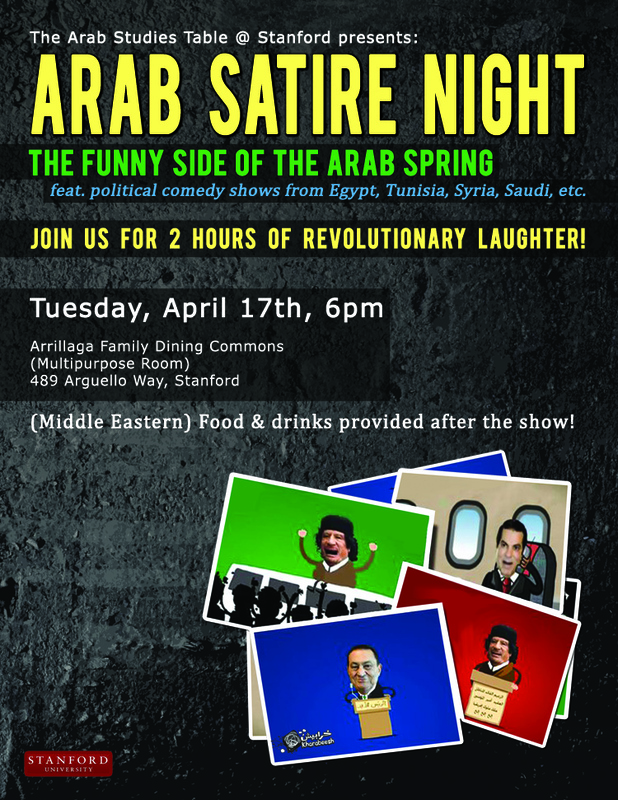 The Arab Satire Night at Stanford University was attended by a packed audience that came to laugh at/with the lighter side of the Arab Spring. 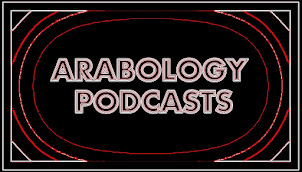 Congrats to Ahmed Benchemsi and Lina Khatib plus all the students who helped make the event such a success. 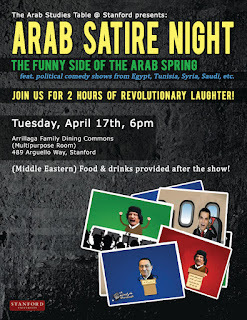 From Egypt to Tunisia to Syria and more, we were all treated to a much needed dose of laughter with substance.